Be the first to share your favorite memory, photo or story of Bonnie Jean. This memorial page is dedicated for family, friends and future generations to celebrate the life of their loved one. 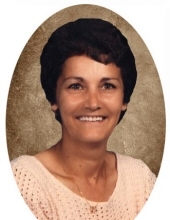 Bonnie Jean Wolfenbarger Rigdon, age 72, of Rawlings Road, Hillsboro, passed away Monday, January 14, 2019, at Fleming County Hospital in Flemingsburg. Born November 18, 1946, in Urbana, Ohio, she was a daughter of the late Estill and Lilly Hollins Wolfenbarger. In addition to her parents, she was preceded in death by two brothers, Estill Lee Wolfenbarger, Jr. and Steven Ray Wolfenbarger, and a grandson, Dustin Hurst. Her husband of 53 years, Lonnie Cleo Rigdon, whom she married August 15, 1963, preceded her in death on January 24, 2017. Bonnie is survived by her three children, Ruby Rigdon of Lewis County, Tonya (James) Spencer of Morehead, and Lonnie Rigdon, Jr. of Ringos Mills; two sisters, Pat Freshcorn and Georgie McClish, both of Kenton, Ohio; 12 grandchildren; 11 great grandchildren; and numerous nieces and nephews. She was a homemaker and a former employee of Cowden’s Manufacturing Company, St. Claire Regional Medical Center, and the Windmill Restaurant. Bonnie was a member of Sharkey Baptist Church. A memorial service will be conducted 1 p.m. Saturday, January 26, 2019, at Sharkey Baptist Church with the Rev. Harley Sexton, Jr. and the Rev. Elijah Sexton officiating. Private burial will follow in Rigdon Family Cemetery. Visitation will be from 11 a.m. to 1 p.m. Saturday, January 26, 2019, at Sharkey Baptist Church. To send flowers or a remembrance gift to the family of Bonnie Jean Wolfenbarger Rigdon, please visit our Tribute Store. "Email Address" would like to share the life celebration of Bonnie Jean Wolfenbarger Rigdon. Click on the "link" to go to share a favorite memory or leave a condolence message for the family.